How To Begin When Creating A Start-up Do I Need A Business Plan? Starting a small business involves planning, budgeting and some legal processes. If you are thinking about starting your own business, there are several aspects you need to consider so that you can start. You need to have an idea which you will grow into a business opportunity. While this may sound obvious, it is an aspect that cannot be ignored. Once you have decided on the kind of business you want to start, then you are able to map the way forward for the other processes. You now need to write a business plan to enable you to evaluate whether your idea is worth an investment. A business plan is the blueprint for any business. It tells how you and others will carry out the business. It states the business name which you will use when registering. It is also an essential requirement if you are looking for financiers or lenders. They will want to read your plan and see its potential for growth. It details your strategies, financial projections, marketing plan and the capital need to sustain the business until it breaks even. Once the business plan is in place, you are now ready to find a financier. You can use your own resources, approach friends and family or take the plan to investors. Whichever approach you adopt, carefully consider the effects the financing will have on business profits. Now that you have both the plan and the money, consider the legal issues that will affect your business. Decide if you want a sole proprietorship, a partnership or a corporation. This is more determined by the financing decision that you make. You can now register your business legally and you will be issued with the relevant registration numbers. Obtain all the permits required, tax forms and business insurance to cushion you against risks. 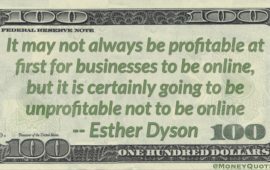 Remember you will be spending money in many ways before you begin realizing profits. You will need to pay for a space to run your business; you will possibly hire an employee to help you run your business, an accountant will come in handy to help you with your bookkeeping needs; and there may be several other costs to be paid at start-up. While there seems to be a lot to it, the various steps are actually all easily managed once you actually get started on them. Staying focussed on the business ahead will help you treat these as minor administrative tasks on the path to starting your business and hopefully making your fortune! Dane has been involved with small to medium sized businesses for many years in his role as a business finance advisor. He has started up SmallBusinessWizardry.com as a free resource to others looking for advice on starting a small business.